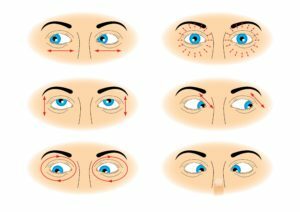 Short Sight, Long Sight, Dryness in eyes, Blurred Vision, Glucoma, Fatty Liver, Jaundice, Gall bladder Stone – for all these problems, the solution provided here is good enough to get 100% cure. There is connection between Eyes, Liver and Gall bladder. Any problem related to any of the above parts of our body, there is only one single solution and that is Keelanalli. 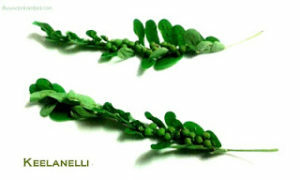 Keelanelli plant, also called Keezhanelli plant is scientifically called as Phyllanthus Niruri. It is also called as gale of the wind, stonebreaker or seed-under-leaf. It is a tropical plant, is commonly found everywhere in coastal regions, and is known to grow in wet soil. One can easily grow them at home. Keelanelli leaves or Keezhanelli leaves and roots are known for their medicinal values for treating all the problems mentioned in the subject. You need to pluck a minimum of 10 leaves and the seeds, chew and eat them in empty stomach early in the morning every day. Vegetable vendors who are selling Spinach, Coriander Leaves will be selling this also. You can buy from them, wash and eat it raw every morning before you consume anything else. Give 10 minutes gap and then have your normal morning luke warm water. You will also get Keelanalli Powder from Ayurveda Medical Stores. This leaves can be had in empty stomach or while eating breakfast or lunch. Take a small bowl, pour some cold water and wash your eyes every morning. You can also submerge your head inside a bucket along with your head and open and shut your eyes inside the water five times. Do this every day without fail. If you wash your eyes with plain water, it is very powerful for the eyes. You should keep blinking your eyes always. It is one of the best remedies. If you are glaring at a PC or Laptop or TV, you tend to forget blinking your eyes on and off. Whenever you remember you have not blinked your eyes, start blinking 30 times and then for 1 or 2 hours if you forget, it’s ok. But blinking your eyes on and off for a minimum 30 times is best solution for eye cure. Keep revolving your eyes clock wise and anti clock wise. Imagine there is a big wall clock in front of you and keep looking at 12, 1, 2, 3, 4, 5, 6, 7, 8, 9, 10, 11 and 12 and in the reverse direction 12, 11, 10, 9, 8, 7, 6, 5, 4, 3, 2 and 1. Do this 3 times. Then look at 12, 3, 6, 9, 12 and 12, 9, 6, 3, 12 three times. Then look at 1, 7, 11, 5 three times. Then both your eye pupils should look at the tip of your nose. In this position, keep looking at the tip of the nose and count 60 and also keep looking at the centre of two eyebrows on the forehead and count 60. If you do this every day, you don’t have to wear spectacles. Have you ever come across a person wearing spectacles, say, that his power has reduced. If your doctor says, you need to wear spectacles if you want to save your eyes, it is nothing but exactly the opposite. Your eyes probably is partly defective and you are going to take treatment to make the eyes completely defective. Show me one person in the entire universe saying, he went to an eye specialist doctor, who prescribed +2 power and over a period of time, after wearing the specs, he got his eyesight perfect and thereafter he did not have to wear specs for ever. Is there any such example in the universe ? The best way to stop wearing spectacles in future is just remove the specs and put them in your shirt pocket or vanity bag. Start practicing what has been told above and over a period of time, your eyes will become perfect and you need not have to wear specs for ever thereafter. Whatever may be your present power of your specs, don’t wear them until there is a dire necessity. May be while reading, seeing something important, so on and so forth. If you strictly follow the tips given above, in less than 1 year, you will regain your eye sight and you will become normal. Those who are very keen not to wear specs, may follow the tips provided here strictly and I will give 100% assurance that your eye sight will be restored and you don’t have to wear specs for ever. Just wash one carrot bought from the vegetable vendor, eat it raw. Do not cut it or scrap it or grate it. If you cut the carrot, it will lose some power, if you grate it, some more power that it has will go away and if you put it in mixy and grind it, it will lose more power. Instead, just eat one carrot raw by biting and chewing. Chew so well that it is converted as carrot juice inside your mouth and then drink it as it is. 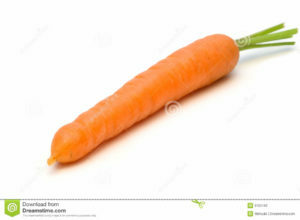 One carrot a day will increase the power of your eyes and you will be able to see everything including reading with your naked eyes without wearing spectacles. Do not mix salt and pepper. Eat it absolutely raw. Good for your eyes. For people who are old, this condition does not apply. They can make carrot juice and drink it as they may not have teeth to bite the carrot. However, a word of caution. This carrot juice should not be mixed with sugar. At the most, jaggery can be mixed, but, if you can avoid jaggery also, it will give you very good result. Previous How to wake up early in the morning ?